The question of whether comics, as a medium, should be permitted to enter the glittering halls of Art is no longer relevant. 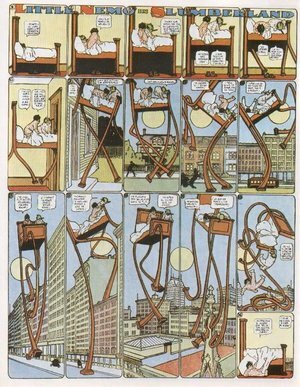 Yes, we could make the case by pointing out that the elegant, controlled nibwork of Winsor McCay’s 1908 Little Nemo strips has overtones of Alphonse Mucha, or that the hefty females drawn (and lusted after) by Robert Crumb bear certain similarities to Fernand Léger’s equally heavy-set women. Indeed, comics’ evolution from the cross-hatched realism of Victorian cartoons to a more simplified, stylised visual language could even be said to parallel the general tendency towards abstraction in early 20th-century painting. But to make such a point supposes that such battles are still being fought. In these days of folk art, outsider art, any art but fine art, we may as well have done with it and add the term comic art to the critic’s lexicon. Or sequential art, if you like. That was the term invented by Will Eisner, creator of the 1930s strip The Spirit and one of the most accomplished draughtsmen in this book. The phrase, although overblown, recognises that the defining quality of comic strips is their combination of visuals and narrative. Like all the best jokes, they work on two levels. As a result, comics are perhaps the best equipped of all media to comment on themselves. It may be at the Brechtian level of Jack Kirby, who was particularly fond of showing characters reading the very Marvel publications in which they starred. 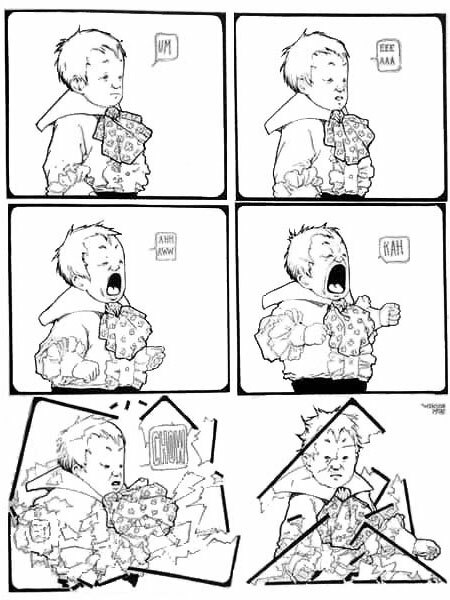 Or it may be at a more structural level – anything from McCay’s Little Sammy Sneeze fracturing the very frame he occupies (in 1905!) to the page from Art Spiegelman’s Maus in which white-bordered photos flutter down in front of the panels, echoing and obscuring them. By using the term sequential art, we become aware of the inherent problem in extracting from comics in the way this book does. Yes, we can marvel at the quality of latter-day “graphic novelist” Chris Ware, whose meticulous style is often erroneously assumed to be computer-generated. 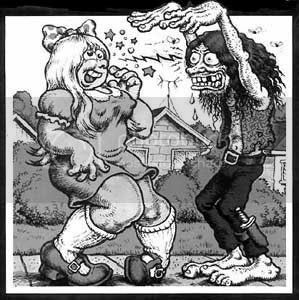 And we can wonder what it is about the crude, scratchy style of Gary Panter that justifies its inclusion here. But to look at the pictures alone is to remove the vital element of narrative. Even in the case of Peanuts, which exists as a series of stand-alone strips, Charles Schulz would develop a particular theme across a number of days. To view pages – worse still, panels – in isolation is like reading one paragraph of a novel or looking at a single frame of a film. Think of this, then, as the equivalent of a book on cinematography: it contains some arresting visuals, but of necessity it can only tell half the story. First published in World of Interiors issue 285. Reproduced with permission.